Some companies and employers may suffer from a downturn especially when the economy fails. This prompts them to find ways on how to cut down on expenses so they can maximize savings and preserve more of their assets. Some of these companies choose to reduce their workforce through laying off some workers so they can minimize on costs for salaries and benefits. While this is an effective way to cut down expenses, there are some companies and employers who also care for the future of their workers — thus, instead of firing them, they offer a buyout or an early retirement program. Through a buyout or early retirement plan, the companies will not only save so much on costs, but they also give their workers some money and benefits so they can still survive while these workers are finding ways on how to get another source of income. It is essential for the employees to know the package that is being offered by their employers, and to understand how such package works. Through this, they will know if it would be best for them to take such early retirement or buyout offer or not. After all, early retirement planning must be well-thought of. In addition, it is very important to know that a buyout is different from an early retirement plan. In general, a buyout is an incentive that is being offered by the company so to get the workers to leave voluntarily. Usually, a buyout is being offered to employees who are not yet near their retirement age. The reason for this is for the employers to save on the retirement pension plan. This is also referred to as early retirement buyout or annuity buyouts, and is often offered to young employees who work in a company for less than 5 years. What is an Early Retirement Program? On the other hand, an early retirement program is a package that is being offered to employees who are close to their retirement age. These workers are eligible to collect pension payment soon. For instance, this package may be offered to workers who are above the age of 50 for those companies with regular retirement at 60 years old. In addition to the regular package, there are some companies which offer to buy some of the year difference between an employee’s true retirement age. This may be a good option for some, as this may allow the employee to access his retirement funds at an earlier age. Is a Buyout and Early Retirement Plan a Better Choice? So you may be wondering as to whether or not a buyout or early retirement program a better option to choose in times of crisis. Whether the employer decides to offer you a buyout or an early retirement program, it is best to know that the goal for these is just the same – and that is to ask you to leave the company earlier than you should have originally planned in exchange of money and other benefits that are included with the package. 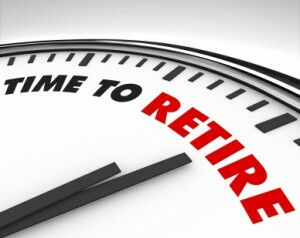 It is very important to note that a buyout and an early retirement program is not the same as a layoff. In the case of a layoff, the employer decides who among their workers will lose their jobs. On the other hand, with an early retirement or buyout, the worker is the one who makes the final decision — this means that the employee has the choice whether to accept the offer or not. Whatever your choice may be, it is always important to know your financial goals so to know how to retire wealthy. A cash payment in bulk amount, which employees may use to start investing after retirement. A paid health insurance for a limited period of time. A severance pay which may prompt you to sign a waiver or release. Other benefits in the form of retirement investments such as stocks — this may be considered as an addition to your retirement plan investments. It is best to understand that there is no regular package that is being used — and so whatever will be included with the early retirement package or buyout is limited to the employer’s resources. In order to have a more comfortable early retirement, one must know how much his needed average retirement savings so to keep him going while he tries to find another source of regular income. What do you think – if your company offered you a retirement buyout package today, would you take it?